« Is Print Manga In Full Retreat? I’ve been reading manga on the JManga website on my laptop while patiently waiting for an iPad app for a few months now. 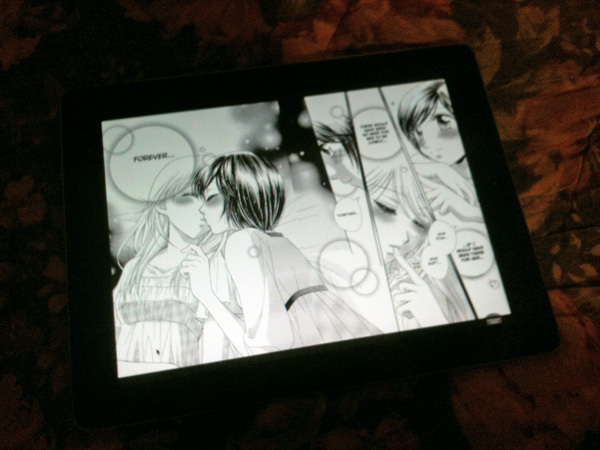 The current JManga reader is Flash based which will not work on the iPad. I don’t really like reading manga on my laptop, as a result I really haven’t been finishing many titles. Not only that, because there’s no way to save a bookmark in the current reader, I always lose my place if I have to stop reading before completing a chapter. So I started wondering how I might get around the restrictions and read JManga titles on my iPad using the current reader. Remote desktop apps immediately came to mind. I’d heard that there were such apps for the iPad, so I decided to see what the available options were. The iTunes App Store has a fair number of remote desktop apps listed, but I decided to go with the Splashtop Remote Desktop app for iPad because of its high ratings and low cost ($4.99 as of this writing). Installation was pretty easy on the iPad of course. Next I needed to download the free Splashtop Streamer for my Mac. I installed the streamer, started it, and then set an access code for the remote connection from the iPad. The iPad app easily detected my Mac and I had no trouble connecting using the access code I’d just set. I was greeted with a cheat sheet of gestures to interact with the desktop. The desktop looked great on my iPad and I had no trouble at all accessing JManga in my desktop browser. I opened Girlfriends in the reader and then went to full screen mode just tapping the left or right to turn pages. 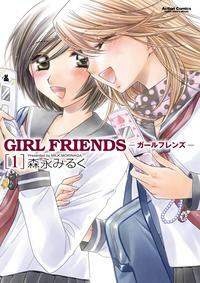 Girlfriends looks pretty good on my iPad! Before I knew it, I’d finally finished volume 1! To escape full screen mode, I just tapped the keyboard icon on the lower righthand corner and then tapped the escape key. It all worked like a charm! Quite readable and very responsive page flips. This method should work with other tablets as long as similar remote desktop apps are available. I still want that JManga iPad app, but this workaround will do for now. This entry was posted in Reading, Tablets and tagged Flash, ipad, JManga, manga, remote desktop, Splashtop. Bookmark the permalink. Both comments and trackbacks are currently closed. I hope it works well for you! Hopefully, a native app will be released soon!